ideal location for your visit to the "City by the Sea". 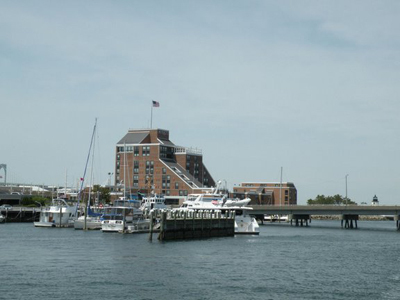 If you're looking for great Newport RI hotels where you can also hold a wedding or event, or you just want to get a little distance from the busy downtown area, this is the spot. 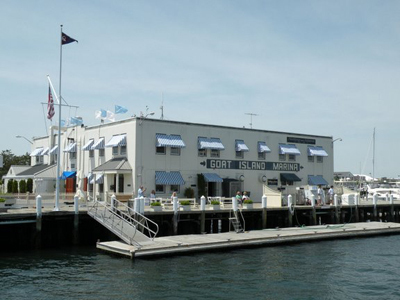 The Hyatt is located on Goat Island, just a minute drive or 5 minute walk from downtown Newport. Goat Island was the home of the U.S. Naval Torpedo Station from 1869 until 1951, which armed our Navy during World War I and II. From its great location on Goat Island, you'll enjoy views of Narragansett Bay, Newport Harbor, the Newport Bridge and the downtown area. 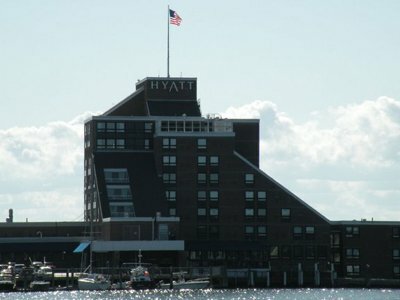 The Hyatt is home to 264 guestrooms, 27,000 square feet of function space, 16 meeting rooms and an outdoor saltwater pool. If you don't feel like crossing the causeway to get a meal or a drink, then just go downstairs to the hotel's Pineapples on the Bay, Auld Mug Lounge or Windward Grill. If you're going to be arriving in Newport in style on your private yacht, just pull it up to the dock at the Goat Island Marina. Have a quick meal at the restaurant, then make your way over to the Hyatt to check in. After checking in, take a stroll over to the northern end of the island. There you'll find the Newport Harbor Lighthouse. 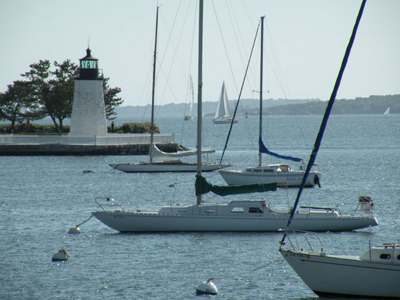 Lighthouses at this location have been guiding sailors into Newport for centuries. 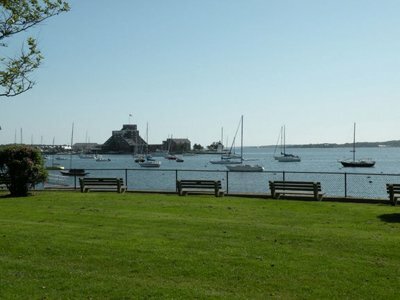 Newport Rhode Island hotels should offer you great service, amenities, ocean views and proximity to all the attractions. The Hyatt on Goat Island delivers on all of the above.